Hyundai Motors India is the country’s second largest car manufacturer, which is known for rolling out pocket friendly cars. 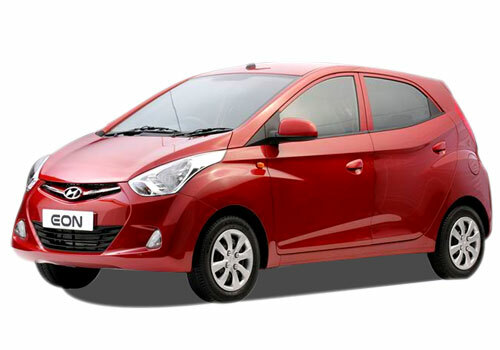 With Hyundai Eon it has proved that it can offer power packed car in a small price. Hyundai Eon is a perfect small car and is loaded with numerous features on such an affordable price. The appearance of Hyundai Eon is quite awesome and the attractive features like smiling grille with sharp headlamps make the car look more appealing and desirable. On the inside, the comfort features like air conditioning, soft fabric upholstery for the seat, three spoke power steering and many more give the car a posh ambience. The hatchback is not behind in terms of safety features as well. My Hyundai Eon Sportz is blessed with front fog lamps, airbag for the driver and keyless entry facility. In such an affordable price, providing the airbags and fog lamps is big deal. I love my Hyundai Eon Sportz in every way. I found Hyundai Eon very handy and smooth on road while driving. I took test drive of Hyundai Eon recently and am very surprised to see an adoring car with good specifications and that too at an amazing price. Every person can easily afford this car. Hyundai Eon is very beautiful car. it is nice safety features on smart price.